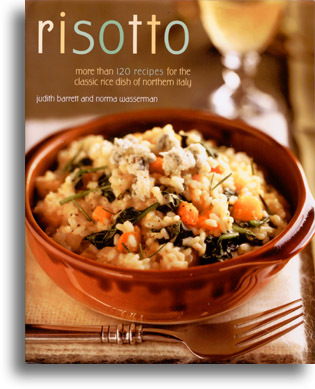 Risotto is the definitive book on this classic rice dish from Northern Italy. First published in 1988, it continues to be the source for those who want to learn how to prepare risotto and even those who already know the secrets to preparing the perfect dish. Risotto contains more than 120 authentic risotto recipes, many of which can be made in thirty minutes or less with a minimum of preparation. In addition to these mouth-watering recipes, Risotto also contains informative chapters on risotto ingredients and preparation methods. For the rice and risotto lover, Risotto is an incomparable kitchen companion.